Intellectual property rights (IPRs) are not subject to any tailored exemption, and the Brazilian Competition Law is applicable to business practices involving IPRs (Law 12,529, enacted in 2011). Notably, several decisions issued by the Brazilian Competition Agency (CADE) reinforce the assumption that IPRs are not immune from competition law and emphasise that both bodies of law, although somewhat conflicting in certain instances, share the same basic goals of promoting innovation and consumer welfare. In brief, the Competition Law establishes a merger review regime and tools for behavioural control. Practices or transactions involving IPRs are subject to both these types of control. Merger review, established by Articles 88–90, ensures that merger control encompasses prior review (before consummation) of transactions that may lead to some degree of economic concentration, including mergers and acquisitions, acquisitions of tangible and intangible assets, joint ventures and associative agreements. Under this regime, transactions involving a group of companies that meet certain turnover thresholds have to be filed for review and cannot be consummated until clearance. While this type of control is reasonably equivalent to merger review regimes in other jurisdictions, the Brazilian regime also includes agreements called 'associative agreements' that create some degree of cooperation between companies while preserving their independence in all other spheres. With regard to behavioural control, Article 36 of Law 12,529 establishes that acts (including contracts or unilateral practices) that have the intent or potential to (1) limit or harm free competition; (2) dominate a relevant market; (3) arbitrarily increase profits; or (4) abuse a dominant position, might be deemed unlawful. This provision has been used to punish horizontal and vertical conduct that restricts competition. Law 9,279, issued in 1996, disciplines the procurement and enforcement of patents, trademarks, industrial design rights (similar to design patents) and unfair competition practices. Copyrights (or author rights) are regulated by Law 9,610, issued in 1998. The provisions of Law 12,529 may be enforced by CADE, the federal administrative agency in charge of enforcing such statute. The statute is also applicable in courts, where private plaintiffs or state and federal prosecutors can file claims based on the Competition Law provisions. According to Article 47 of Law 12,529, any party affected by practices deemed unlawful by Article 36 are entitled to claims seeking injunctive relief and recovery of damages. It means that interested parties may start private suits in courts against anticompetitive practices involving IPRs without previous authorisation or support from CADE. It should be noted, however, that private claims have not played a substantive role in Brazil so far. Except for the judicial review of CADE's decisions, courts have not had many opportunities to issue decisions applying the Competition Law. In 2007, ANFAPE accused Fiat, Ford and Volkswagen of an anticompetitive conduct for bringing lawsuits to enforce industrial design rights (similar to design patents) over automobile spare parts against infringement actions. After a preliminary inquiry, CADE's Tribunal ordered the initiation of a full-blown investigation in 2010 (this order is similar to a statement of objections so this chapter will refer to it as SO). The SO argued that original equipment manufactures (OEMs) may abuse their dominant position by merely enforcing industrial design rights through lawsuits against independent auto parts manufacturers that copy their designs to sell in the aftermarket. Notably, the SO acknowledged that: (1) design patents had been lawfully obtained and were valid; (2) there had been no sham litigation; and (3) there has been no excessive pricing. The SO was centred on a theory that legitimate lawsuits to enforce lawfully-obtained design patents against infringers in the independent aftermarket constituted an anticompetitive conduct because they had the potential to produce anticompetitive effects not compensated by pro-competitive justifications. In other words, the SO proposed to use the rule of reason to determine whether the mere enforcement of design patents constitute an 'abuse'. In brief, the SO assumed that independent manufactures may not design around the industrial design rights conferred, so that the enforcement of such rights would prevent any competition. Additionally, it was argued that OEMs invest in new designs for the sale of vehicles and not of spare parts, which would eliminate pro-competitive justifications for the enforcement of such rights against independent manufacturers acting only in aftermarkets. This theory was later endorsed by technical reports from CADE's Superintendency, CADE's attorney general and the Office of Federal Public Prosecutors, recommending the condemnation of the defendants. The reports supporting that theory indicated a trend towards an inappropriate balance of IPRs and competition policy in Brazil. Such trend was gaining traction and generating negative spillover in other matters; the same theory was adopted in other SOs in sham litigation cases in several industries to establish that CADE would be in position to review the enforcement of IPRs even if there had been no sham or misrepresentation. After a long review by the Commissioners, a tight four to three majority voted to close the investigation. The majority vote held that the mere enforcement of lawfully obtained rights does not constitute unlawful conduct. Alleged anticompetitive effects were a result from the IP policy in that specific market, and CADE was not entitled to review and reverse the IP policy to hold that defendants' behaviour was unlawful. The majority held that only if there was misuse of an IPR would the rule of reason be applicable. CADE's Tribunal seems to strike an appropriate balance of IPRs and competition policy. The decision avoids a dangerous overreach of competition policy while also maintaining CADE's ability to review conduct in opposition to, or not expressly permitted by, the IP statutes. Technology transfer and licensing agreements are subject to behavioural control under Article 36 of Law 12,529. In sum, Article 36 of Law 12,529 establishes that acts (including contracts or unilateral practices) that have the intent or potential to (1) limit or harm free competition; (2) dominate a relevant market; (3) arbitrarily increase profits; or (4) abuse a dominant position, will be deemed unlawful. The case law has been built using a framework similar to the American rule of reason: for every contract or practice under investigation, CADE typically considers whether there is market power, anticompetitive effects and possible pro-competitive justifications that compensate the anticompetitive effects verified. Licences granted to competitors (horizontal relation) or cross-licences might be problematic if accompanied by price restrictions to customers or certain output limitations. Vertical restraints in licences to vertically related players might also result in antitrust liability. Potentially problematic vertical restraints include tying arrangements, exclusive dealing, resale price maintenance, bundling and territorial restraints. These restraints would also be analysed under a framework similar to the rule of reason in the US. The fact that an IPR is involved is unlikely to preclude an antitrust investigation for monopolisation or abuse of dominance. In these types of cases, the ordinary framework to assess monopolisation or abuse of dominance cases might be applied, meaning that a practice will be unlawful if (1) the player holds a dominant position (as defined in the previous answer), (2) the conduct results in anticompetitive effects, and (3) the anticompetitive effects are not compensated by pro-competitive justifications. The recent case involving design of spare parts detailed in Section II is the closest to a refusal-to-license type of claim.5 In this matter, however, the complainant was seeking an administrative decision ordering IPR holders to stop enforcing its design patents against players in the aftermarket. Interestingly, the complainants were not seeking a licence, and it was well established that there had not been a refusal to license. While the SO and staff reports indicated that a licence-free relief would be a viable remedy, the majority of commissioners voted to close the investigation and held that IPR holders are entitled to enforce their IPRs against infringers. The fact that complainants had not asked for a licence and simply wanted to reproduce the patented designs for free were important in the justifications presented by the majority vote. Against this background, it remains unclear CADE's views of a potential refusal to license. Given the language adopted in that decision, a refusal to license with negative impacts on a product or service not protected by an IPR would probably be subject to detailed scrutiny (i.e., refusal to license an IPR over product X prevents a rival from rendering a service Y or developing a product Z on another relevant market). Nevertheless, it is unclear whether CADE would conduct a detailed inquiry of a refusal to grant a licence for a player that merely wants to copy the patented product to put it for sale (and, therefore, does not develop another product or service using the patented product or technology merely as an input). Consistent with such position, CADE rejected excessive royalties claims in two cases in 2009, holding that a stand-alone investigation against excessive royalties is not warranted; only if there is an exclusionary conduct could an investigation proceed.7 Dicta in these cases suggest that royalty schemes would be subject to competition scrutiny only if they are part of an exclusionary conduct with the potential to harm rivals, including (1) a bundle of essential patents to non-essential patents; (2) discrimination of players without legitimate business justifications; and (3) unreasonable price increases that result in refusal of access to an essential technology. In 2010, a tight majority voted in favour of allowing investigations of merely exploitative excessive pricing.8 While that case had the potential to be a turning point and influence excessive royalty cases, it has not gained traction as the majority of commissioners has shifted and has not shown interest for this line of cases.9 In addition, while the former Competition Law (Law No. 8884) had a specific provision against excessive pricing, the current statute (Law No. 12529) does not contain any provision in that regard. This change in the applicable statue has been used to defend the view that stand-alone excessive pricing cases are not allowed in Brazil. There is no public investigation in Brazil related to software and trademark licensing practices (except for the case involving standard-essential patents discussed below). In cases involving IPRs, CADE has adopted the same principles applicable to other forms of property, goods or services to define relevant markets. In line with the experience in foreign jurisdictions, CADE usually defines the product and geographic markets involved. Concerning the product dimension, CADE defines a given set of substitutes integrating a market considering the reasonable interchangeability of use and the cross-price elasticity of demand. In turn, the geographic market depends on the disposition or ability of suppliers to serve customers and the disposition or ability of customers to purchase substitutes within given geographic limits. While IPRs by their nature confer to holders the ability to exclude others, it is well established in Brazil that an IPR does not necessarily lead to the existence of market power. It is conceived, however, that an IPR might contribute in certain circumstances to the acquisition and maintenance of market power. Provided a product protected by an IPR is desirable enough and no viable alternatives can be developed without infringing the IPR, the existence of the IPR will then be an important element in the acquisition and maintenance of market power. For the benefit of clarity, it should be noted that the mere existence of market power is not unlawful in Brazil. In June 2015, CADE issued its first and only decision involving the use of injunctions to enforce essential patents.12 In reaching this decision, the Brazilian agency was writing on a blank slate; prior to this case, CADE had never investigated a complaint involving the use of injunctions to enforce essential patents, nor had any Brazilian court addressed the antitrust issues related to essential patent disputes. CADE reassured essential patent holders that it will not rush to condemn actions seeking injunctive relief for infringement of those patents, but will consider both the evidence of holdup and holdout when examining the failure to reach a licence on FRAND terms. Furthermore, CADE has endorsed the view that essential patent holders are generally entitled to file lawsuits to enforce legitimate patents. It seems safe to conclude that only cases involving clear harm to competition without legitimate justification (e.g., a complete and unjustifiable refusal to license an essential patent to prevent entry or exclude a rival) are likely to be a concern. Antitrust intervention will be exceptional. Given the language in the decision, it seems reasonable for essential patent holders to seek injunctive relief against unwilling infringers engaged in a holdout strategy. CADE noted that the lawsuits filed by Ericsson against TCL seemed reasonable given the lengthy period of unfruitful negotiations and the many similar licensing agreements entered by Ericsson with others throughout the industry. CADE recognised that Ericsson had been willing to offer a licence and to negotiate its terms, while it was TCL that appeared engaged in intentionally delaying such an agreement. It is possible to infer from this aspect of the decision that CADE sees injunctive relief as a proper remedy against 'unwilling' infringers, and recognised a right to exclude in such situations. Language in the same decision involving TCL's complaint against Ericsson indicates that an essential patent holder duty to provide a licence under FRAND terms will be subject to scrutiny in very narrow circumstances. If an essential patent holder is willing to negotiate a licence in good-faith, antitrust law will only intervene exceptionally, so that the terms and conditions of the licence are mostly seen as a merely private matter. CADE reaffirmed that Antitrust Law prevents monopolisation of a market and is not concerned with excessive pricing or royalties. CADE recognised the lack of an exclusionary practice where Ericsson was not a vertically integrated manufacturer of mobile devices in competition with TCL at the time the lawsuits were filed. Thus, Ericsson had no interest in excluding TCL from the market; Ericsson's interests were in expanding sales of licensed devices. The decision seems to rule out the possibility of a stand-alone excessive royalty claim, in which the practice is merely exploitative and not exclusionary. Therefore, CADE's Ericsson decisions can be read as consistent with the view that antitrust law does not give a mandate to a competition authority to arbitrate reasonable royalties (or punish excessive royalties). The transfer of IPRs may be subject to merger review under Articles 88 and 90, II, of Law 12,529. According to these provisions, the acquisition of control or part of a company through the acquisition of tangible and intangible assets has to be filed. Hence, if a hypothetical transfer of IPRs corresponds to the transfer of part of the business of a company, the transaction has to be notified (see Merger Review No. 08700.010731/2015-72). Finally, if the transfer of an IPR does not meet the thresholds for previous notification, it may still be reviewed under the behavioural control. Transfer of IPRs are in principle legitimate, but may be held illegal if they cover a horizontal agreement to fix prices or restrain output, or result in market foreclosure or any anticompetitive effect not compensated by efficiencies. The rules disciplining the notification of licensing agreements under the merger review system have been changing significantly over the past years. Before 2012, under the former Brazilian Competition Law, Law No. 8,884/94, licensing agreements were frequently subject to merger review. During the former regime, the main criterion applied by CADE to identify whether the licensing agreement should be notified was the existence of exclusivity clauses or clauses that entailed a cooperation in the exploration of the assets between the parties (see Merger Review No. 08012.008656/2006-47). However, after the new Competition Law was enacted in 2011, the rules governing the notification of technology transfer and licensing agreements have changed. Articles 88 and 90, IV, of Law 12,529 establish that 'associative agreements' must be notified. The lack of further guidance on the meaning of 'associative agreements' has originated many discussions among practitioners and several questions about what type of contract to submit for review. parties share the risks and revenues of the economic activity. Under the new thresholds, CADE analysed two recent cases of licensing agreements and held they did not meet the thresholds for notification. In Merger Review No. 08700.008484/2016-25 (Applicants: Aurobindo Pharma Limited and Medley Farmacêutica Ltda) a distribution, licence and supply agreement was submitted to CADE. This agreement established that Medley was authorised to sell in the Brazilian market three generic drugs produced by the Indian Aurobindo. In its analysis, CADE held that although the parties could be considered competitors in the market affected by the deal; there would be no sharing of risks and profits. In Consultation No. 08700.008419/2016-08 (Consultants: Warner Bros Home Entertainment Inc e EA Swiss Sàrl), the parties asked for CADE's opinion regarding a video game software licensing agreement, whereby Warner could replicate and sell certain video games created by EA Swiss. CADE held that parties were rivals in software development, but as the agreement was limited to hardware manufacturing (an activity where parties did not overlap), the agreement was not notifiable. In addition, CADE stated that the agreement did not establish a common venture to explore economic activity or sharing of risks and results. CADE sustained that agreement's remuneration was static, predetermined by the parties and did not change their independence. Thus, the question as to whether a licensing agreement should be notified in Brazil is fact-specific and demands a careful assessment to determine the need to file. Finally, we should note that mergers involving IPRs will be assessed under the same standards used to analyse mergers that do not involve IPRs. In line with international practice, CADE will analyse whether the merger increases the likelihood of exercise of market power (either by increase in prices or decrease in product quality or innovation), considering both unilateral and coordinated effects. In conducting this assessment, CADE usually proceeds by defining relevant markets and respective market shares pre- and post-merger, barriers to entry and the current conditions of rivalry among players. A transaction may result in unilateral effects if the loss of head-to-head competition between the merging parties is not counterweighed by the possible entry of new players or by the rivalry presented by established players. Coordinated effects may be observed if the merger creates or enhances the likelihood of coordination between the remaining players in the marketplace. If this assessment leads to the conclusion that the exercise of market power is likely, CADE will consider whether the efficiencies generated by the merger may compensate these issues, balancing anticompetitive and pro-competitive effects. Similar concerns guide the analysis of mergers involving IPRs. 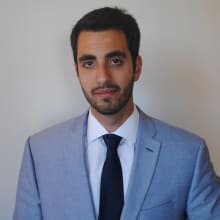 In this context, CADE might be particularly concerned with possible exclusionary effects generated by the IPRs and how they affect the possibility of entry and the ability of rivals to effectively compete. For instance, patents over a product or components may raise the barriers of entry by requiring the research and development of a substitute designed around the patent. Patents may also originate concerns if a vertically integrated player holds patents for a given component necessary for the production of a downstream product. By its turn, trademarks may reinforce a market position and lessen the degree of rivalry manifested by competitors increasing the identification and loyalty to a given brand. The singular dynamics of innovation markets may also be taken into account. Incentives to design around IPRs may play an important role in the analysis and high market shares might be a relative concern once shorter innovation cycles may indicate the lack of basis for stronger antitrust intervention. According to Brazilian Competition Law, if CADE considers that a merger gives rise to competitive concerns, the transaction should be blocked or remedies should be imposed. The remedies may be both behavioural and structural and are usually negotiated in the context of the merger review settlement (ACC). Applicants are eligible to submit settlement proposals from the moment of the filing until 30 days after the Superintendency submits the case to the Tribunal. In this sense, negotiations of a potential settlement may start at the Superintendency or only take place at the Tribunal, if the parties decide to wait for the Superintendency decision and submit the settlement directly to the Tribunal. In any event, the Tribunal will issue the final decision on the settlement proposal, deciding whether it is accepted or rejected. The structural remedies may involve divesture measures that aim at safeguarding competition in the market after the merger through the development of a new player. In the past years, assets divested included intangible and tangible assets, namely brands, industrial plants and distribution assets. A settlement negotiation is frequently a one shot game, meaning that if negotiations fail there aren't other opportunities to restart negotiations. Negotiations take place at CADE and normally last a very short period of time (20 to 60 days). Actually, parties should be prepared to dedicate a lot of time and effort during negotiations and be ready to make decisions quickly. The structural remedies involve divestiture measures that aim to safeguard competition in the market after the merger through the development of a new player. In past years, assets divested included intangible and tangible assets, namely brands, industrial plants and distribution assets. Generally, assets must be divested to a third party that is capable of carrying on with the divested business but, at the same time, is unrelated to the groups involved in the merger and has a market share lower than 20 per cent. Recently, CADE negotiated ACCs that established the divestiture of intangible assets as structural remedies, such as the Merger Review No. 08700.008607/2014-66 (GSK-Novartis). In 2015, CADE issued the decision in the leading case involving sham litigation in Brazil: the Eli Lilly case (Administrative Process No. 08012.011508/2007-91). anticompetitive settlements: Settlements in lawsuits aiming to affect competition may also be unlawful (i.e., reverse payments/pay-for-delay cases). In the Administrative Process No. 08012.011508/2007-91, Eli Lilly was fined for allegedly having practised the following: (1) patent filing for a component it was aware could not be patented; (2) the attempt to broaden the initial scope of the patent filing after the Brazilian PTO's negative decision; (3) contradictory claims before the Brazilian PTO and the courts; (4) a request for exclusive market rights after the five-year period since the drug commercialisation approval; and (5) repeated lawsuits before the Federal Courts of Rio de Janeiro and the Federal District. Recently, CADE' General Superintendency issued an opinion recommending that an investigation on sham litigation against another pharmaceutical company should be closed.14 The firm was accused of filling abusive lawsuits in order to protect the data package of a medicine. Applying the tests established in the Eli Lilly case, the General Superintendency found that the lawsuits did not constitute a sham litigation strategy under the PRE, POSCO and fraud litigation/misrepresentation tests, nor any kind of misuse of IP rights, stating that the firm merely presented to the courts a legitimate dispute of legal interpretation regarding the protection of data packages in Brazil. It is possible to identify in CADE's previous decisions some language referring to the possibility of a finding of unlawful conduct provided IPRs are accumulated but are not effectively explored. In these cases, referred to as 'sleeping patents', the obtainment of the IPR would allegedly serve merely to prevent the entry of new players and not as a way to reward incentives and foster further development. It is important to note, however, that such practice has never been condemned in Brazil and only referred to as dicta in cases dealing with different practices (see Preliminary Investigation No. 08012.005727/2006-50 and Administrative Process No. 08012.002673/2007-51). In the Eli Lilly case cited before, CADE found that the component under analysis was already in the public domain when the firm submitted its patent application. Even after the Brazilian PTO had repeatedly rejected the patent application, the company pursued judicial claims to discuss it. The key issue is that Eli Lilly was fully aware that the patent it was trying to file could not be granted because: (1) at the time the patent request was submitted, the Brazilian law did not allow patents over drugs in general; and (2) Eli Lilly did not try to use the TRIPS pipeline provisions at the appropriate time. Furthermore, CADE understood that Eli Lilly deliberately modified the claims of its initial patent application after the INPI issued a decision denying the patent request, altering the scope of the applied patent. CADE's General Superintendency found that this alteration on claims after the authority had already examined the merits of the filing could have anticompetitive effects because broader claims encompassing other inventive products that had not been initially covered were included. Therefore, CADE is attentive to the fact that the misuse of patent rights may help constituting illegitimate monopoly. Neither CADE nor the courts have reviewed patent settlements under an antitrust framework. Despite the lack of relevant precedents to be considered, it is possible to identify a few instances where settlements may be problematic. The Brazilian legal system generally incentivises the settlement of disputes. Notwithstanding, it should be conceded that patent settlements might eventually violate the Brazilian Competition Law in certain circumstances. Clearly, a settlement between actual or potential competitors where there is no real dispute (the litigation is a 'sham') may be considered anticompetitive if it involves competitive variables. Similarly, if the settlement includes a provision that is outside the scope of the dispute and has anticompetitive effects (i.e., market division or output restriction), it is also likely that the settlement will be considered an antitrust violation. Other hypotheses are certainly less clear and should be subject to a careful and tailored assessment. For instance, where the settlement generally represents a reasonable business decision based on the uncertainty of patent litigation, but also comprises provisions that potentially diminish or eliminate competition (i.e., an exclusive licensing arrangement), the settlement might be considered unlawful. Even more difficult situations may arise in settlements involving the entry of new players such as pay-for-delay or reverse settlements. These types of settlement have not been the subject of cases in Brazil yet, but may generate important discussions soon. 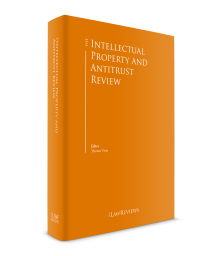 The past years have been particularly relevant for the analysis of the intersection of IP and antitrust. Investigations have become more sophisticated, and enforcers have been increasingly interested in learning and exploring this relevant area. The case involving the enforcement of essential patents cited in Section IV is an important precedent and sets the parameters for future cases involving essential patents. It was the first time that CADE issued a decision on this topic – before, there was a lot of uncertainty and it was difficult to predict how the agency would rule. With the decision, companies now have more clarity over the enforcement of essential patents in Brazil from an antitrust perspective. Notwithstanding, it remains to be seen how CADE will treat cases involving either direct competitors or claims of ex ante, pre-standardisation deceptive conduct, where an exclusionary intent can be found, or cases where the implementer's 'holdout' strategy is less clear than in TCL's case. Even in such closer cases, however, CADE will need to carefully balance the rights of essential patent holders and the needs of implementers to access those patents to practise the standard so as to guarantee that innovation will thrive and consumers will benefit. Furthermore, the case described in Section II involving design rights over automobile spare parts is a landmark decision. Rejecting a more interventionist view that had been prevailing in staff reports, the final administrative decision from CADE's Tribunal seems to strike an appropriate balance of IPRs and competition policy. Holding that the mere enforcement of lawfully obtained IPRs against infringers should not be subject to competition scrutiny, CADE acknowledged it was not entitled to review and reverse the IP policy. Therefore, the decision avoids a dangerous overreach of competition policy while also maintaining CADE's ability to review conduct in opposition to, or not expressly permitted by, the IP statutes. These two cases are a testament to CADE's ability to deal with complex matters and appropriately balance the advantages of static competition with a well-defined IP Policy able to foster innovation. As CADE repeatedly proclaims its intent to increase the number of investigations over single-firm conducts, we may see a growing number of discussions in this same sphere. 1 Ademir Antonio Pereira Jr is a partner and Mário André Machado Cabral is an associate at Advocacia Del Chiaro. This chapter is based on the Brazil section of 'IP & Antitrust 2018', (Global Competition Review, 20 February 2018), https://globalcompetitionreview.com/jurisdiction/1000462/brazil, written by the same authors. 2 It should be noted that we represented one of the defendants in this case. Any opinions and views expressed here are our own and do not represent our client's position in the case. 3 See Administrative Process No. 08012.002673/2007-51. It should be noted that we represented Volkswagen in this case. Any opinions and views expressed here are our own and do not represent our client's position in the case. 4 See Preliminary Investigation No. 08012.001315/2007-21. 5 See Administrative Process No. 08012.002673/2007-51. 6 Excessive pricing would be a problem only if followed by another conduct (see Administrative Process No. 08012.0000966/2000-01) or if implemented with an exclusionary purpose, like price increase of an essential input that actually constitutes a refusal to deal (see Administrative Process No. 08012.005181/2006-37. 7 See Preliminary Investigation No. 08012.005181/2006-37 and Preliminary Investigation No. 08012.001315/2007-21. 8 See Administrative Process No. 08012.003648/1998-05. 9 In a recent case, Commissioner Polyanna Vilanova noted that excessive pricing would only be a problem if it is part of larger anticompetitive conduct (see Administrative Process No. 08700.0000625/2014-08). 10 See Merger Review No. 08012.008810/2009-23. 11 See Merger Review No. 08012.008810/2009-23. 12 Preparatory Proceeding No. 08700.008409/2014-00. It should be noted that we represented Ericsson in this case. Any opinions and views expressed here are our own and do not represent our client's position in the case. 13 According to Regulation No. 10/2014, an agreement that lasts two years or more is associative if: (1) parties are horizontally related with regard to the scope of the agreement and hold together 20 per cent or more of market share; or (2) the parties are vertically related with regard to the scope of the agreement, one of them holds 30 per cent or more of one of the relevant markets and the agreement establish the sharing of profits or losses, or there is exclusivity. Right after Regulation No. 10/2014 came into force, a technology transfer and licensing agreement between Monsanto and EMBRAPA was deemed notifiable, but the analysis was exclusively based on the turnover threshold and did not comprise a specific assessment of the thresholds established by the regulation (see Merger Review No. 08700.001226/2015-37). In more recent decisions, CADE started to more clearly apply the thresholds set by Regulation No. 10/2014. In a deal involving Monsanto and Syngenta, CADE held that the licensing agreement is vertical in nature and so limited the initial inquiry as to determine the need to file as to whether one of the parties held 30 per cent or more of the markets and was either exclusive or set the sharing of losses and profits (see Merger Review No. 08700.004282/2016-12 and 08700.011952/2015-68). In Merger Review No. 08700.006315/2016-­51, 08700.005689/2016-­59 and 08700.012599/2015-33, CADE analysed transactions involving non-exclusive licences granted by Warner Bros Home Entertainment related to video games software, music, and audiovisual content. Following the standards of Resolution No. 10/2014, CADE found that the relationship between the licensor and the licensee established a vertical relation among the parties in the scope of the agreement and held that notification thresholds had been met. 14 See Administrative Process No. 08012.006377/2010-25 (Pró-Genericos v. Lundbeck). It should be noted that we represent Lundbeck in this case. Any opinions and views expressed here are our own and do not represent our client's position in the case. 15 See Preliminary Investigation No. 08012.005727/2006-50.